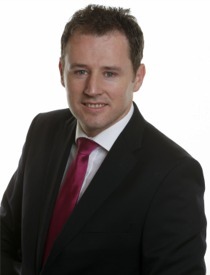 INISHOWEN T.D., Charlie McConalogue has said that a "serious depletion" of garda resources in Donegal during the recession must be redressed by the new government. Deputy McConalogue said that Fianna Fáil was pleased to secure a commitment during its recent government-forming negotiations with Fine Gael to increase Garda numbers around the country to 15,000 in the Programme for Government. Deputy McConalogue said: “Over the past five years we have seen the serious depletion of Garda resources and manpower across Donegal, which has led to an increase in fear in many rural communities. "Older people and people living in isolated areas have been disproportionately affected, but every village has been on edge to some degree." He added: "Eight Garda stations closed under Fine Gael and Labour and Garda numbers have been cut substantially. This reduction in a visible Garda presence has undoubtedly had an impact not only on crime rates, but also on people’s confidence levels." The Carndonagh-based deputy said FF has also pushed for strategically placed CCTV cameras along the national road network in tandem with an increased garda presence. “This will make a real difference to families, towns and villages around the county and Fianna Fáil will continue to pursue measures to tackle crime and protect our communities”.